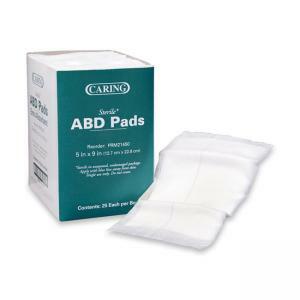 Sterile abdominal pad is designed to handle heavy drainage, while keeping the wound dry. Design diffuses liquid throughout the pad. Single-use pads are made of highly absorbent cellulose. 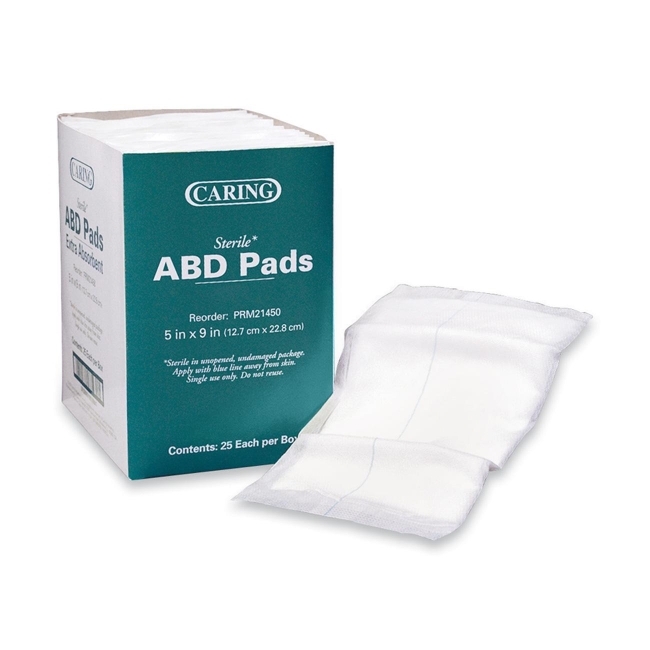 Multiple dressings with these pads may be used for additional protection against strike-through.